The RAC’s Report on Motoring 2015 has found that 8 out of ten (81%) company car drivers regularly break the motorway speed limit. Despite the obvious risks these drivers are taking – there were a total of 828,000 speed limit convictions by drivers in 2013 (Department for Transport), with 92,136 people banned from driving between 2013 and 2014 (IAM) – the report also found that 91% of company car drivers strongly agreed that it would be difficult to adjust to life without a car. Source: Truck Accident Attorney Baton Rouge Louisiana Babcock Partners, LLC. 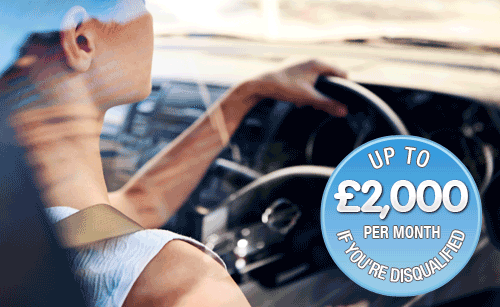 So if you’re reliant on your car for work, isn’t it time you considered insuring your driving licence? Drivers with 6 penalty points or less can receive legal defence in the event of a motor prosecution that may lead to them losing their licence. If they became disqualified despite this defence, they would receive up to £2,000 a month to help with the costs of alternative transport – a sum which may be vital in ensuring that they’re still able to meet the demands of day-to-day business. This monthly benefit could prove the difference for employees who may otherwise lose their job. The RAC report also found that 17% of of drivers believe texting or using social media on their phone whilst in traffic poses little danger to themselves or other road-users. Even more worryingly, 12% of drivers think it’s reasonable to take a short phone call whilst driving, despite the fact that this has been illegal since December 2003. Driving Licence Insurance will provide defence in prosecution for using your mobile phone whilst driving which may lead to you losing your licence. Legal defence is provided by DAS, the UK’s leading legal expenses insurer, with legal costs of up to £100,000.